It’s easy to set up a Viber account. You just need to have a smartphone, install the Viber app from your App store or Google Play store, register your phone number and follow the few steps on-screen and you’re done. But how about deactivating your account if it’s not useful anymore? What are the things you need to do before deactivating your account? What are the consequences it carries after the deactivation? And most of all, how to deactivate your account? This article will answer those questions you have in mind. Read until the end to know to deactivate Viber account. 1. To deactivate your Viber account, you must open your Viber app. 2. Go to your More screen. It’s the three dots icon found in the lower right corner of your screen. 3. Tap the gear icon or the Settings tab. 4. At the top, the Account option will be seen. Tap it to see the related option for your account. 5. Four significant account settings will be available on the next screen. The Viber Backup which keeps your message history. While the Desktop and Tablets let you use the app for these devices. Lastly the Change Phone Number and Deactivate account carry your main contact and status. Choose the Deactivate Account. 6. To continue, you should provide the phone number of the Viber account you want to deactivate. 7. Tap the Deactivate account button that’s highlighted in red font below the phone number box. That’s it! Your Viber account is now deactivated. Frequently Asked Questions Q: What will happen if I deactivated my Viber account? A: Deactivating your Viber account means all your data that’s been collected by the app will be deleted. Your username, phone number, profile and even those information gathered from your social media account. Also, if you have Viber out credit or any subscription entailed with that account it will be removed. That’s why it’s recommended to cancel any of subscription plans you made. It simply says, your account will be closed. Q: Will my backups for that account be deleted? A: Backup uses third party storage. It could be the iCloud for IOS devices, the Google drive for Android or any iCloud storage. Since it’s outside the Viber app, the backup should not be affected when you deactivate your account. If you want to delete them, you have to do it manually. Q: I’ve deleted my Viber app. Will that means my account was deactivated too? A: Deleting or uninstalling your Viber app doesn’t mean your account is deactivated. It will just remove the app from your smartphone. Though it will delete your message and call history, it will keep your personal information. That information you provide when creating the account. And once you use the same phone number upon reinstalling the app, all your personal information will be retrieved. If you tend to deactivate your account, you need to reinstall the Viber app. Then follow the steps provided above. Q: Can I deactivate a different Viber account (not the same number I used) in my Viber app? A: As my experience, you can’t. 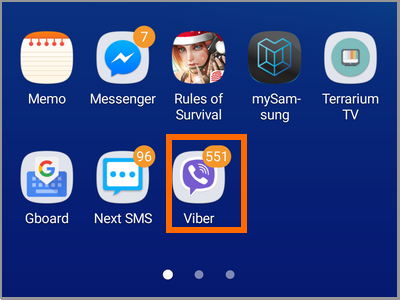 The Viber can detect if the number you entered is not the same phone number you used in your app. Deactivating different Viber account number will no use. I suggest to deactivate it using the same phone where it was registered. Remember that you can fully deactivate an account using only a smartphone, tablet, or your computer. Also, deactivating your Viber account from one device will remove your account in other gadgets you used. If you’re planning to retrieve any messages from your account, it’s better to do a backup before the deactivation. You just learned how to deactivate Viber account. If you have questions about any of the steps above, let us know in the comments section.